Why you win or lose sales opportunities from the competition? How much potential revenue you company is losing? What your competitors and peers are doing to increase sales wins? Get the report that shows you how to reach business outcomes in a disruptive marketplace. The strongest benefits you will realize with win loss analysis. Who’s conducting win loss analysis and the most successful tools and methodologies they use. How win loss programs help assess and manage the competitive climate. 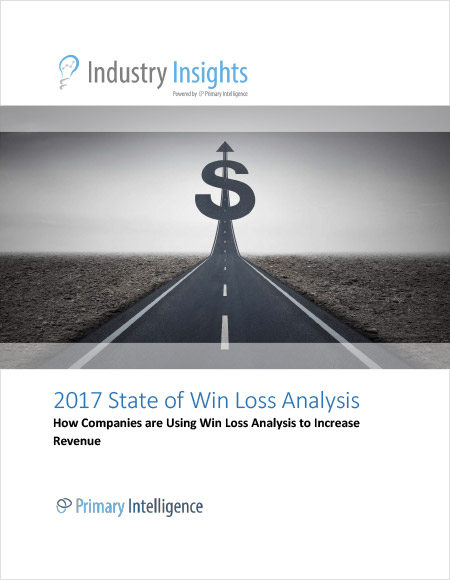 Find the answers to your questions in the 2017 State of Win Loss Industry Report.